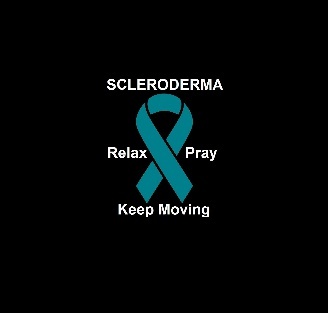 The Scleroderma Foundation is an excellent resource for information on the disease and has helped raise awareness for this rare and challenging disease. 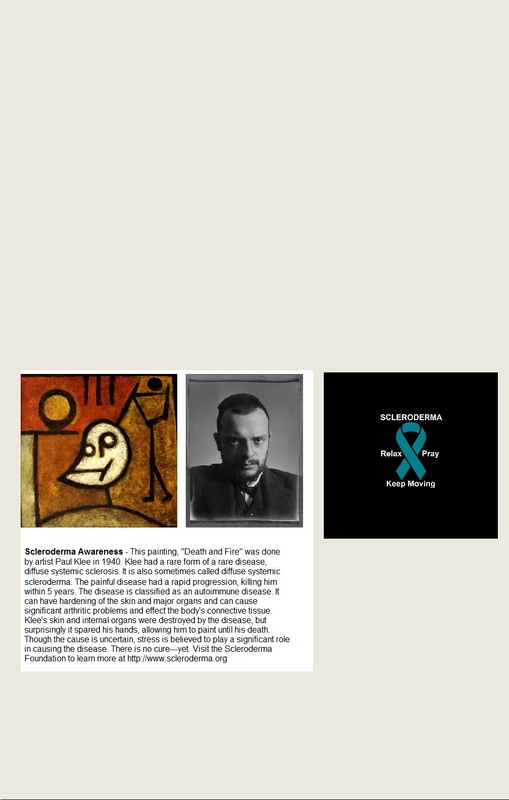 The Scleroderma Foundation is one of the most effective and trustworthy charities, receiving extremely high marks from watchdog groups for their use of donated funds. Ron was diagnosed with systemic scleroderma to kick of the new year in 2016. He has been fortunate to be doing extremely well and have limited symptoms. The course and severity of the disease varies significantly from person to person. Ron wants to spread the word and help others who may not be as fortunate with the disease. Ron will be presenting at the Sclerdoerma Foundation's national conference in Arizona in July 2017 on stress management. He has started a scleroderma support group (Black Hills Scleroderma Support Group) which meets the first Wednesday of each month at 5:30PM at the Rapid City Public Library (meetings end by 7PM). The group is open to anyone and is free. Some food may be provided (pizza). Educational information on scleroderma will be made available at the group. 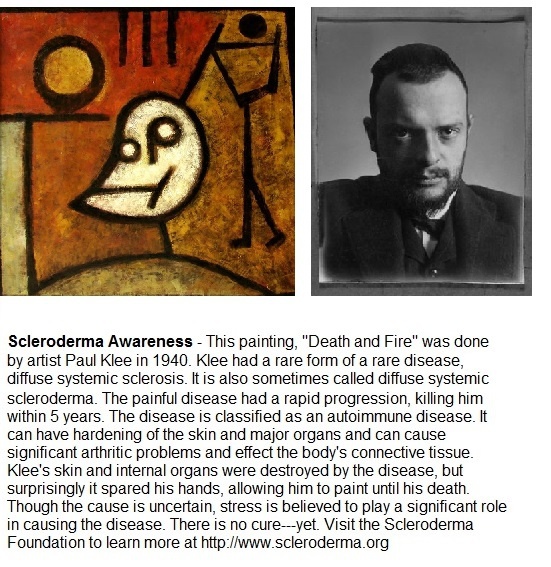 Artist Paul Klee suffered from scleroderma and his late work, such as "Death and Fire" are inspired by his struggles. Read more about it below. At a candidate forum Ron was criticized by one of his opponents for his diagnosis. Read his press release to see how he responded.